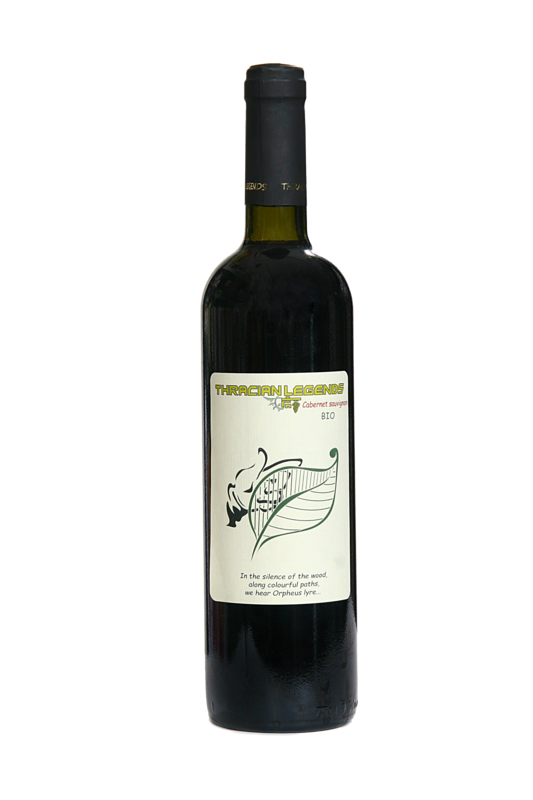 Тhe wines from the THRACIAN LEGENDS collection tell the stories of the past and legends about the ancient Thracians. Nowadays Thracian treasures impress the world with their fineproduction dating back to the roots of human civilization. But they are not the only gift we’ve inherited from the ancient Thracians. The Thracian culture, their religious understandings of the world had reached wisdom, which modern man would admire. Let more people take a sip of this wisdom, as it is valuable and everlasting. On our first labels we have depicted Orpheus, how he controls nature through the harmony of his lyre. Thousands of years before us the famous artist has realized and recognized in his teachings, that in order to live well, one must live in harmony with nature. Sparkly yellow colour, just like the rays of the sunrise, with the touch of light green, reminiscent of the spring grasses. The aroma is rich in citruses, ripe apricots, raw almonds and minerals, imbued with the freshness of mountain waterfalls. Delicate tinges of honey could be sensed, as if from the lyre of Orpheus. 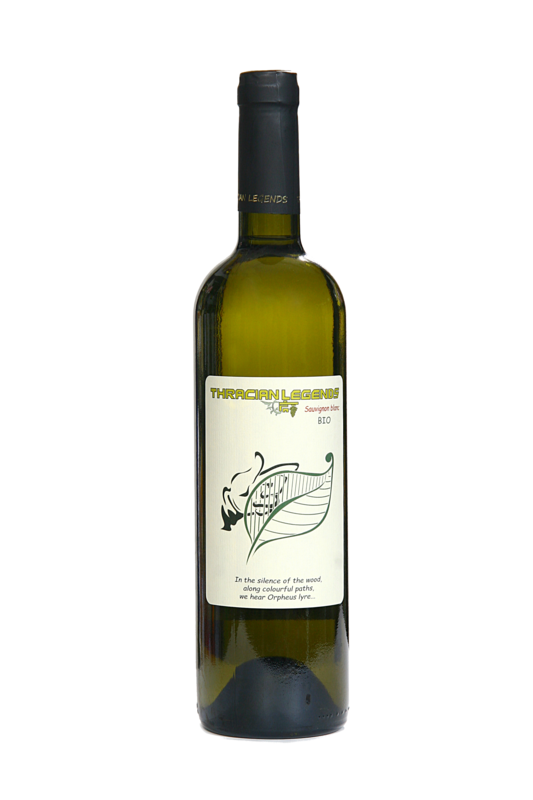 The taste is well balanced, with soft glides,reminiscent of the wind, playing with leaves. Saturated purple-red colour with glittering tinges, resembling ancient Thracian treasure. Flavour of ripe cherries and baked plums, served with French oak and dry leaves. Harmonic body with aftertaste that lasts for long as the music of Orpheus. It is made from 100% Sangiovese. Pink colour - gentle and sparkling, like dew drops. Fragrance of fresh strawberries, red cherries, honey and field flowers. Ethereal and harmonious taste that fascinates the senses, as the song of Orpheus. Aroma of freshly picked strawberries and fresh herbs on an inclement day in May. Fine ruby colour - as the treasures of pure nature. Delicate and tart flavour of fresh strawberries and wild berries. The senses perceive a boundless beginning, the cyclic awakening of life. A wine that fills with energy and optimism! ORGANIC WINES TL ARE NATURAL WINES AND ALWAYS BRING US CLOSE TO NATURE, WHERE WE FEEL IN HARMONY WITH OURSELVES AND HAPPIER. SAUVIGNON BLANC 2015, 12% Alc. The wine offers exceptional freshness, aroma of citruses and sea minerals – a dive and perception of the depths through the senses of a water dweller. Dense aroma and taste of juicy strawberries, cherries, honey and herbs. The look is riveted on a blooming cherry-tree. And although the tree blossoms every year, it seems to us amazingly beautiful and wonderous. At 2017 Organic Rose Thracian legends 2015 was distinguished with commended medal at London Experts in Wine Awards(The best of Bulgaria) under the patronage of His Royal Highness Kyril, Prince of Preslav and Duke of Saxony, and with silver medal from the festival of rose wines Rose Wine Expo in Kazanlak. CABARNET SAUVIGNON 2015, 12,5% Alc. Slightly spicy aroma and taste of morello-cherry and black currant. The wine is mellow and harmonious. We fall into an old forest, where the harmonyamong its inhabitants has been established for a long time. And there we hear the birds pecking ripe fruit. The forest is so alive and young again. We chip off a dry branch and merge our energy with the energy of the forest. Then we tread in the steps of Orpheus. Muscat aroma finely mixed with dried flowers and herbs. The sun spreads its rays over grapes and flowers, a hare dashes across. This is all perfect for its simplicity. Since ancient times it has been known in these lands, that only harmony is light. ROSE 2017, 12,5 % Alc. MERLOT 2017, 13 % Alc. CHERRY WINE, 12 % Alc. Matchless wine from the cherry variety Ranna Cherna. A sip of wine, like a memory from the Balkan, from the songs of people and birds. And from a Bulgarian rose.